Pawley’s Island is one of those small beach communities that you read about and where you dream about living. Located about 12 miles north of Historic Georgetown and only 20 miles south of Myrtle Beach, Pawleys Island is a quiet seaside community that has maintained its slow beach-y attitude for centuries. 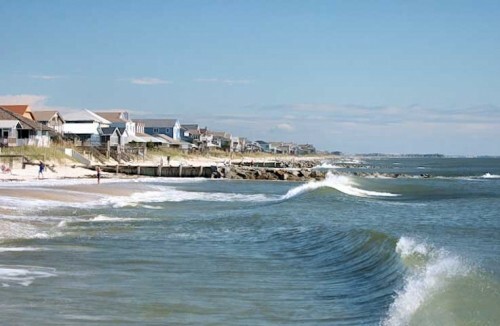 While many families spend their vacations here, others are lucky enough to call Pawleys home. And, quite honestly, there are probably only a few better places in the world to live. Pawleys Island is the perfect place to land for those seeking a simple life with the majestic Atlantic Ocean and uncrowded beaches as a backdrop. And, even though it is has become a bit more commercial than in the past decades, life is still very easy and more enjoyable than anyone can ever imagine. For anyone wanting a laid back lifestyle filled with pleasure and total bliss, Pawleys Island is the ideal place to live. Most of the attractions on Pawleys Island focus on being outdoors. Think fishing, boating, playing golf, surfing and just being on the beach. Families that live here all year long frequent the beaches almost every day whether it is for just a couple of hours after school or all day on the weekends and holidays. If a little more action is needed or wanted, Myrtle Beach is just a 30-minute drive but the locals rarely leave the island to go anywhere unless they have to go! Shopping, restaurants and other necessities are located within close proximity to Pawleys Island – just a hop, skip and a jump over the bridge. With all of this, there is one attraction that is truly Pawleys Island’s claim to fame – the Pawleys Island Rope Hammock. Spend an afternoon napping in one of these and you will definitely see what all the fuss is about. While many people call Pawleys Island home, it is still popular vacation spot for many families. Pawleys Island consists of the island itself and the unincorporated area on the mainland that has come to be part of Pawleys Island. There is a mix of single-family homes and condominium properties on the island and the mainland for a family retreat. Single family homes are priced between the low to medium $100s and over $3 million. As for condominium properties, there are studio units priced well under $100K which are perfect second homes for those who spend a lot of weekends and short vacations on Pawleys Island. From there, the prices climb to around $2 million for oceanfront properties with amazing panoramic ocean views. In addition to the Atlantic, there are many waterways and channels that meander through the area that create excellent waterfront properties. No matter the amount of development on Pawley’s Island, it continues to offer its residents a leisurely life in flip flops. There is nothing like living here either part of the year or all year long. Spend time here and see what we are talking about! We promise that it is the most wonderful place to live.